In a speech delivered to business leaders in the capital on Tuesday, Khan — who took office in May — used the Leave campaign’s frequently cited slogan of “Taking Back Control” to suggest that Britain’s political, social, and financial capital needs more power to self-govern once the UK does leave the European Union. In the referendum, Londoners voted to stay in the EU in contrast to most of the rest of England, with a roughly 60-40 split between the Remain and Leave votes in the capital. Around 2.2 million people in London wanted to stay in the EU, compared to roughly 1.5 million backing leave. The national vote was 51.9-48.1 in favour of leaving the EU. Since the vote, there have been widespread suggestions from certain camps that one way of addressing the huge disparity between the capital’s sentiments on the EU and the rest of the country’s, is to make London an independent city state. 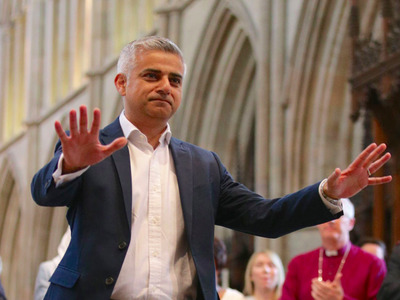 Khan argued in his speech that while this is not something that will likely ever happen, London does need more power to determine its own future. “In the four days since the referendum, 175,175 Londoners have signed a petition calling for London to become an independent city state. This petition wasn’t started by a politician or pushed by any particular interest group. It was an organic movement born out of Londoners desire to have more control over their city’s future. Now, as much as I might like the idea of a London city state, I’m not seriously talking about independence today. I’m not planning to blockade the M25. Khan was one of the Labour party’s most prominent Remain campaigners in the run up to the referendum, frequently extolling the merits of the European Union alongside other In campaigners from across the political spectrum, including outgoing prime minister David Cameron.